The nights are drawing in and the mornings are feeling fresher, winter is just around the corner which means it’s time to think about your autumn worming plan. Worm Egg Counts – For clients that have been regularly monitoring your horse’s worm egg counts all summer we would recommend one final worm egg count before the winter. 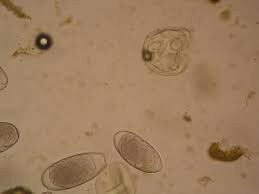 Then, depending on the result of this we will guide you when to administer treatment for encysted redworms. 1. Resistance to wormers is increasing, this means your horse may still have worms despite being treated. A recent report in Horse and Hound (23rd September 2018) described a 4 year old horse that sadly died due to worms despite being regularly wormed. 2. Only 20% of horses actually need worming more than once a year so you could be spending unnecessary money and giving your horse chemicals they don’t need. 3. Not all wormers treat the same worms therefore your worm control program may not be protecting your horse. The only way to find out is to have a worm egg count. Tapeworm – tapeworm treatment needs to be given around November to December time. There is now an available saliva test that you can do at home and send away to check if your horse needs a tapeworm treatment – contact us for more information. Encysted Redworm – encysted redworms don’t show up on worm egg counts and the best time to treat for them is November/December time. There are very few wormers that will treat encysted redworm and the exact one for your horse will depend on other factors so get in touch with us for more advice. It’s important to remember that most horses won’t show any signs of having a worm burden until the burden is very high, by the time this happens the worms will likely have caused life long damage to the horse’s intestine and at worst cause a fatal colic. The only way to prevent this is to have a thorough worm control program. 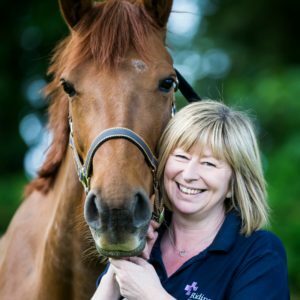 The team at Ridings Equine Vets will happily discuss your current worm control and offer any advice on how to keep your horse worm free. We also offer free of charge tailored solutions for yards, simply get in touch for more information. Don’t forget, if you’re on one of our Health Plans you receive unlimited worm egg counts and wormers!